Skip your draw step. If you would discard a card, remove that card from the game instead. 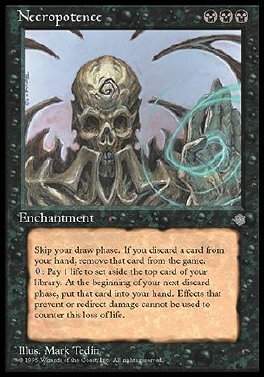 Pay 1 life: Remove the top card of your library from the game face down. At the end of your turn, put that card into your hand.